American Cruise Lines announced that its first new ship of 2018, the American Constitution, successfully passed a set of sea trials last week in Chesapeake Bay. With the U.S. Coast Guard aboard, American Constitution underwent speed trials, an endurance run, and was thoroughly tested in all areas of safety and maneuverability, the company said. One of the new advanced features noted by Taiclet are new acoustical treatments and vibration dampening systems throughout the ship, which make it extremely quiet even when running at full speed. Now that American Constitution’s sea trials are complete, its set for its first cruise from Baltimore this Wednesday, April 18. 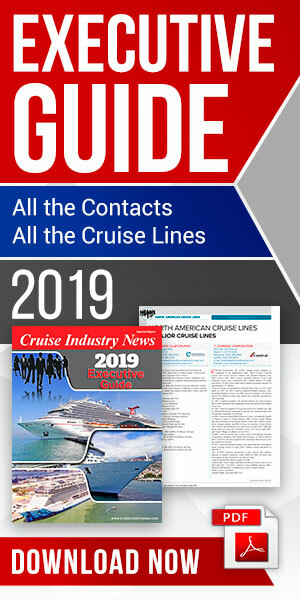 The first cruise will also be the company's first American Revolution Cruise—a new 10-night cruise around Chesapeake Bay. For the remainder of 2018, the new ship will stay on the East Coast, where it will run a series of trips in summer and fall from Boston, MA and New York, NY.